We weren’t going to get involved with the chaos of Black Friday, but then we thought about it a bit more. 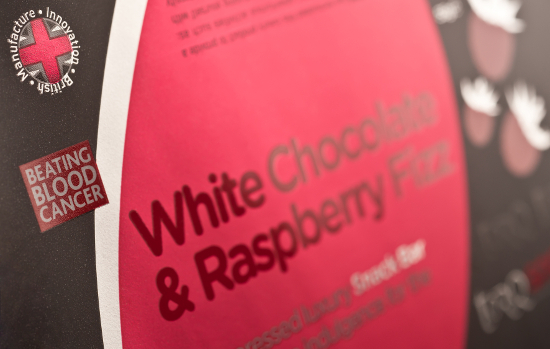 So, we’ve decided to offer a fantastic deal on our Bloodwise White Chocolate & Raspberry Fizz SnaQ bar to help raise further funds for the charity we support. LLR or Leukaemia & Lymphoma Research have recently renamed themselves Bloodwise. Despite the name change, their charitable objective is still not to rest unitl they’ve beaten blood cancers and TORQ have been a strong supporter for a good few years now. What we’ve decided to do is sell boxes (20 bars per box) of the Bloodwise White Chocolate & Raspberry Fizz TORQ SnaQ bar for 1 day only on Black Friday for £25, including postage. The standard web price is usually £35.80, so this is a substantial saving for one day only. The same charitable donation from each bar will go to the Bloodwise charity despite the dramatically reduced price. We thought this would be a really good idea and a great opportunity to get involved in the party! If you click on this LINK any time on Black Friday (Friday 27th November), you’ll be able to buy your box for £25. Perhaps a box might make a good Christmas present? Please help us to sell as many of these bars as possible by telling your friends. Expiry date on these bars is June 2016, so you will have plenty of time to eat them.